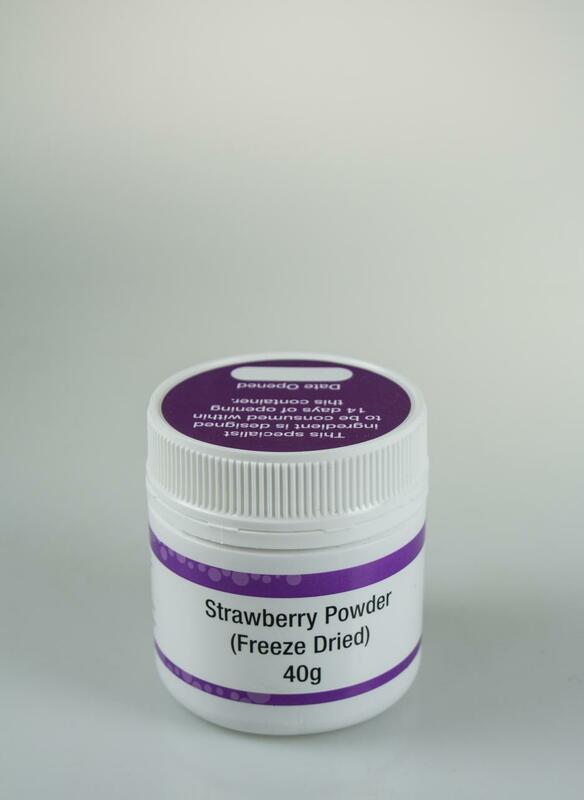 Ripe strawberries are freeze dried, then ground into a powder that captures and intensifies the flavour of the fruit. Use to flavour smoothies, icings, ganache, ice cream and yoghurt, or dust over a cake or dessert for effect. Gluten free, dairy free and fat free, with no added maltodextrin, artificial colours, flavours or preservatives.